Mark Litzsinger informed the Club about his battle with Depression and how he fights it. 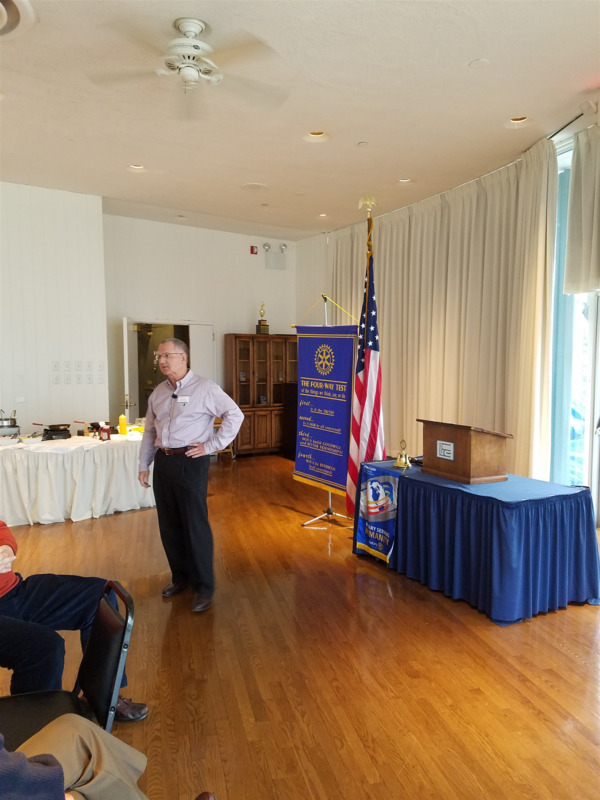 Lake Forest resident, Mark Litzsinger came to the club recently to personally speak about his bouts with depression and how he battles them. Mark is the author of, Out of the Shadows: a Journey of Recovery from Depression. Mark's story, while unique, had an impact on all of us. Courageously, Mark sought to come to terms on how he can recover after bouts with major depression that seriously affected his life. Taking the reigns of his family's publishing business and making it grow by billions, Mark could have chosen a less dramatic chapter to shape his life; instead he met his challenge head on and by recently releasing his book perhaps all of us can live our lives by knowing we can turn the page to our mental health as we see fit. Thanks Mark for sharing your triumphant story! Mark's book is a 5 Star reviewed Amazon bestseller available here: https://www.amazon.com/Out-Shadows-Journey-Recovery-Depression/dp/0692596658 All proceeds from this book will go to help patients and depression research at Rush University Medical Center's Department of Psychiatry in Chicago. We thank Club Member, Brad Andersen for hosting this presentation.